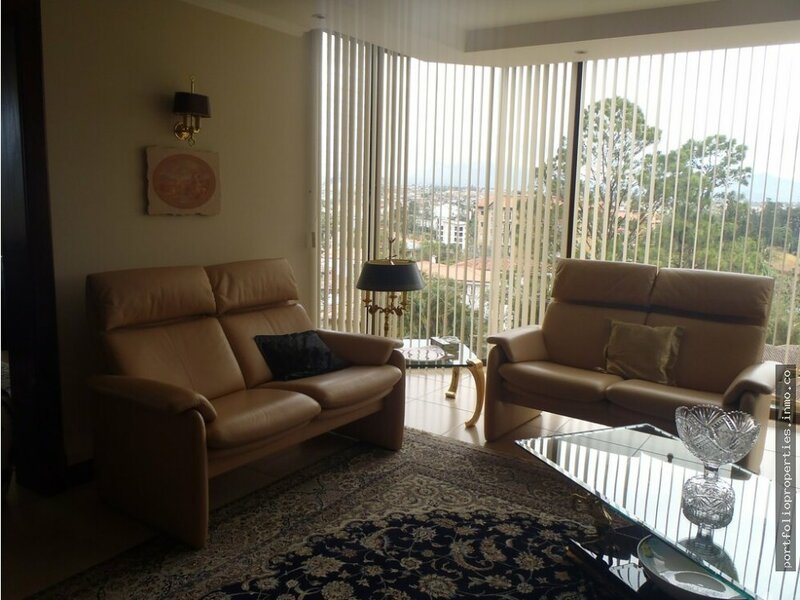 This 240m² corner apartment is located in the most prestigious Escazu area of San Jose de Costa Rica. 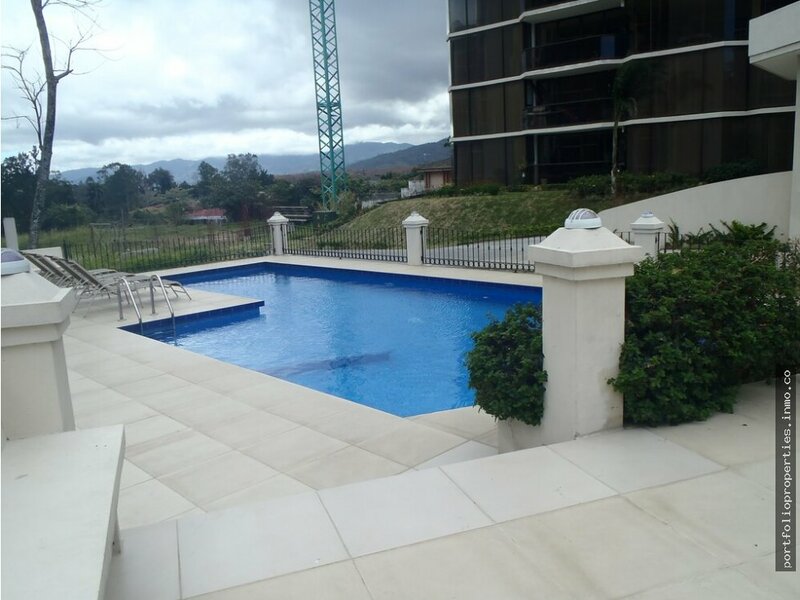 The new contemporary and attractive Condo “Altos de Marbella” offers huge green spaces with all necessary amenities. 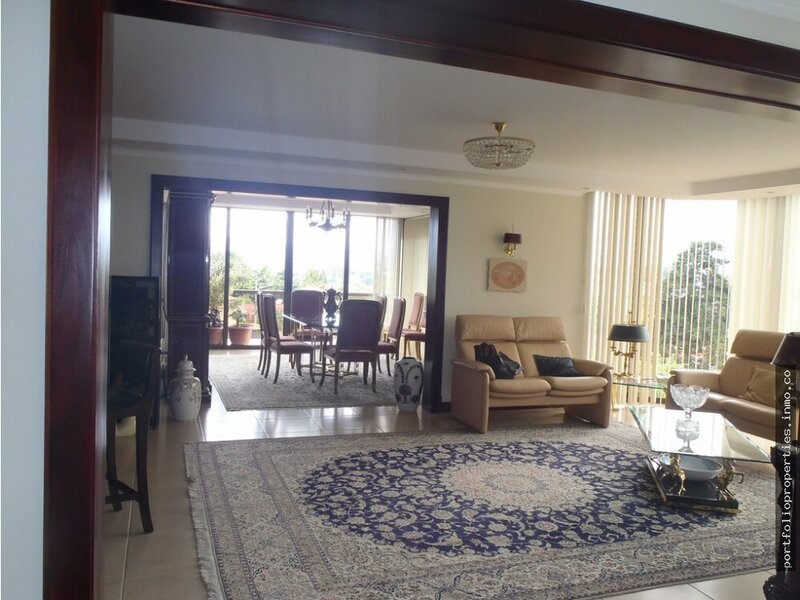 The 4th floor condo has only two accesses with 24/7 security. 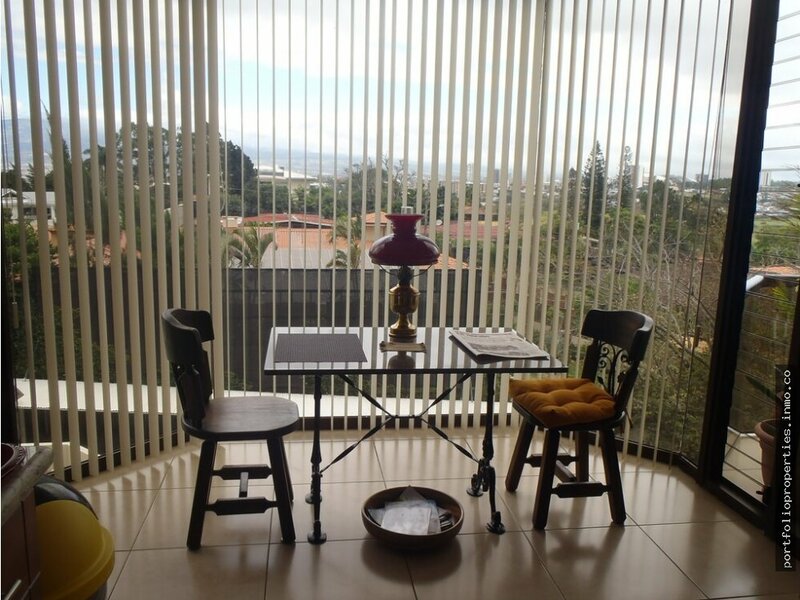 The magnificent architecture is dominated by high ceilings and panoramic views of mountains and the skyline of San Jose. 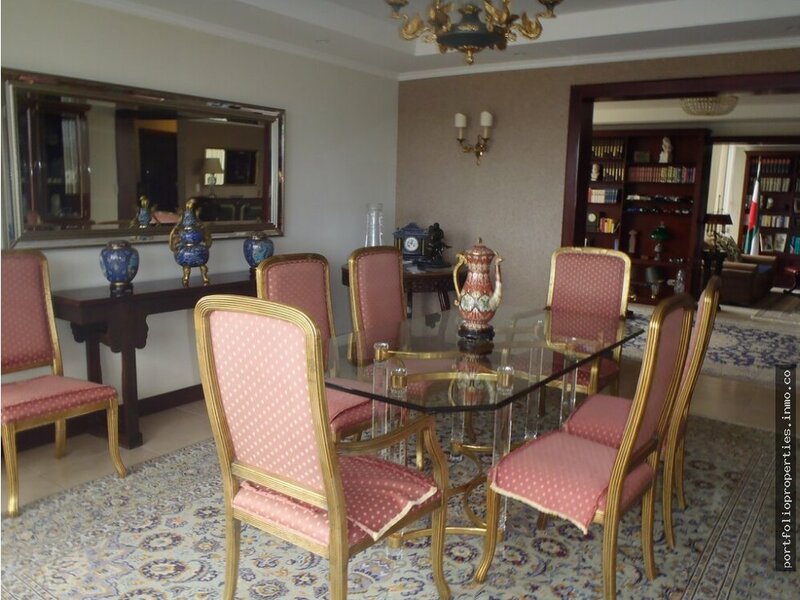 Housing modern European Style furnishings, which can also be negotiated in a sale. The bedroom area is separated by an aisle ending up in a huge master bedroom with master bath and walk in closet. 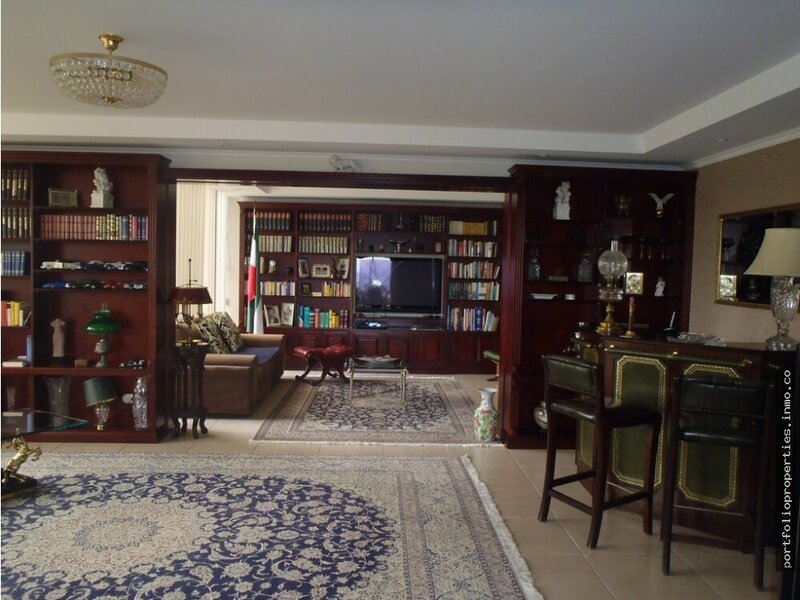 The TV room/office can be converted into a third bedroom with separate door to the hallway. This apartment has three and a half bathrooms. The modern kitchen with granite countertops and high-end appliances interconnected to the dining room and the equipped laundry and maid´s quarters with bathroom. The anti-seismic construction is characterized by massive armored concrete throughout the internal divisions. The condo is equipped with several generators in case of any energy interruption. Furthermore, included is a covered parking space, as well others available. The library cabinetry and all appliances are included.